I found myself in a Japanese hardware store in Ginza and discovered that a lot of the products are just like ours: made in China. But, there was a section that had some signage that proclaimed: Made in Japan. That's where I spent my time poking around to try to find something small and inexpensive that I could bring home for myself and for my tool-loving family members who had birthdays coming up. 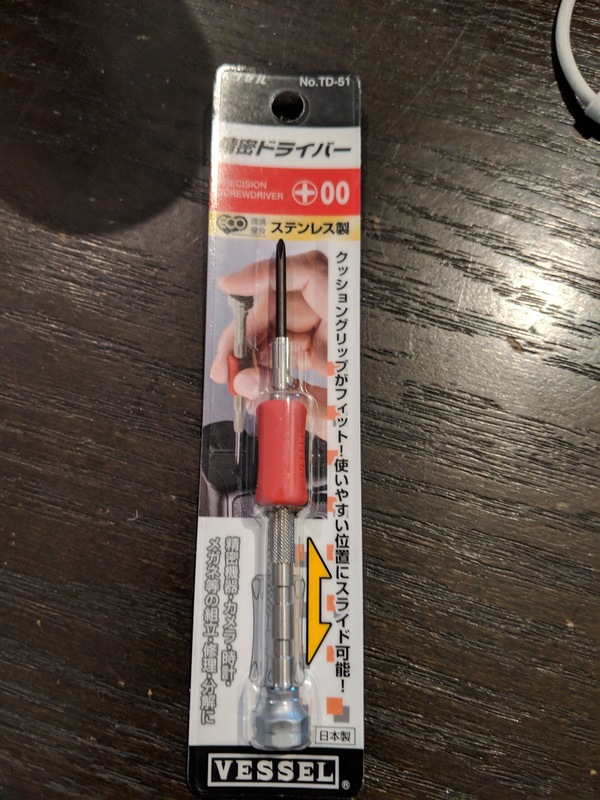 There on the rack were a series of these precision screwdrivers. Or "micro precision drivers" as I think they were billed. This Phillips head driver from Vessel has that red padded section that you can use to twist the screw into place while applying pressure to the base. I have a set of precision drivers, but they're stuck in a case and it always takes me a second to pull them out. Now I have a driver that I can keep in the coffee mug on my desk at home along with my most-used regular-sized driver and a pair of needle nose pliers. You can buy a full set of these drivers on Amazon here for around 12 bucks.